Separate entrance to the Pet Wash Station. 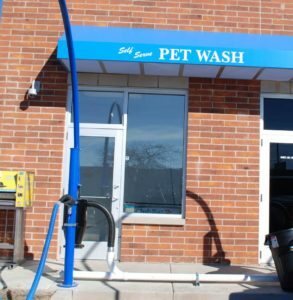 – Our location features two separate rooms containing self-serve pet wash systems. 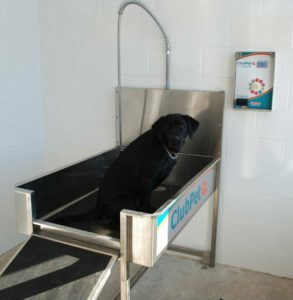 – Use the easy access ramp to walk your pet up into the tub (height is designed for your ergonomic comfort). – Tether your pet to a safety chain to keep them safe while they stand on a no slip rubber mat. 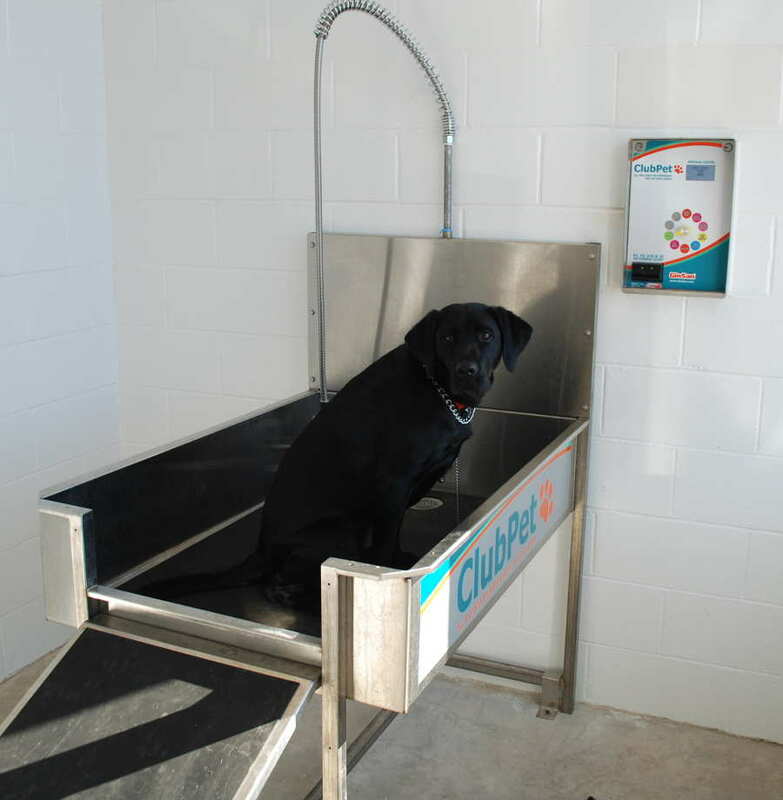 – Use the control panel to select: Shampoo, Conditioner or Rinse to wash your pet from either side of the tub. – Temperature and water pressure are automatically set for your pets comfort. Sycamore $3 Express Car Wash | Powered by Mantra & WordPress.